In what is the second sale to a North American client in a month, Roots Sustainable Agricultural Technologies Ltd (ASX:ROO) will install its proprietary RZTO heating and cooling system at Mendocino Natural Farms in Northern California. Mendocino is a cannabis producer, processor and wholesaler that holds three cultivation licences. The A$42,300/ US$30,000 sale involves Roots installing its Root Zone Temperature Optimization(RZTO) cooling and heating technology in a 10,000 square foot hoop house at Mendocino’s property in Round Valley, California. RZTO will be installed in two stages, with the first stage dedicated to the installation of a heat pump for root zone heating. During the second stage, coils will be inserted at depth for root zone cooling using the principles of Ground Source Heat Exchange (GSHE). The heated (or cooled) water is pumped through the pipes installed in the root zone, where the heat (or cold) is discharged as indicated below. Roots is fast creating its own ag-tech, cannabis based footprint in North America. This is the second sale in North America’s lucrative cannabis sector in less than a month, following an initial sale to industry leader Tim Blake in late March. Both sales are the result of Roots’ Technology Showcase in North America in February and a successful open field RZTO heating pilot cannabis in Washington State during challenging autumn growing conditions of heavy frosts and temperatures below zero degrees. 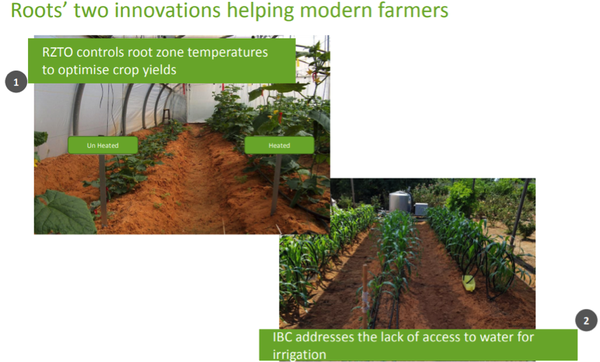 During this pilot program, the heating system increased average untrimmed dry bud and leaf weight by 60% to 283% compared to un-heated control crops. 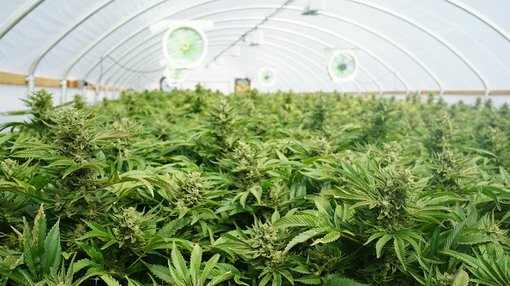 Commenting on this development and the company’s strategy in tapping into increased demand, chief executive Dr. Sharon Devir said, “Roots continues to strategically target the North American cannabis market with our sustainable ag-tech heating and cooling solutions, which cater to the industry-wide shift towards outdoor cannabis production. RZTO also enables growers to minimise the impact of external weather conditions while significantly reducing capital and operational outlays. Yield and crop performance results from Roots’ highly successful open field heating pilot in Washington State demonstrate the ability of RZTO to facilitate year-round growing. Mendocino Natural Farms’ managing director Ivo Lopez provided a glowing endorsement of the technology in saying, “Roots’ root zone heating and cooling technology is an ideal fit for Mendocino Natural Farms and supports our commitment to low-impact farming.